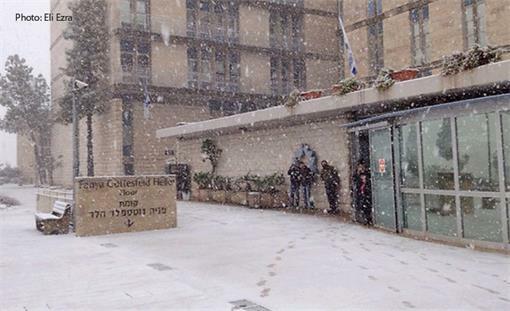 Snow began to fall early Thursday morning in Jerusalem as a cold front swept through Israel and the Middle East, the Jerusalem Post reports. Snijeg je počeo padati u četvrtak ujutro u Jeruzalemu kad je "hladna fronta" stigla preko Izraela i Srednjeg istoka. More than 10 centimeters of snowfall is expected to hit the North on Thursday and around the same level is expected to fall on mountain peaks in the country’s central and Jerusalem areas.